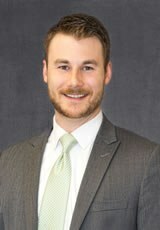 On September 26, 2017, Jordan T. Klein obtained a favorable defense verdict on behalf of his client in a property damage action in a bench trial in St. Clair County, Illinois. The plaintiff sought damages for the repair of plaintiff’s truck when it collided with the client’s mailbox. The Judge ordered a directed verdict and found no liability on his client’s part. His client was also awarded damages for the full cost of repairs for the mailbox in a countersuit.